Dolphins have an eye on each side of their head. Each eye moves independently of the other, so dolphins can see ahead, to the side, and behind them. They can also see very well both underwater and in the air. Their vision out of the water is about as good as a cat’s or a dog’s. Indian river-dolphin (Indus and Ganges river-dolphins), Amazon river-dolphin (boto), Yangtse river-dolphin (baiji), and the La Plata dolphin. The Baiji Yangtze Dolphin is with all probability extinct. There are only two species in the Monodontidae family, the narwhal and the beluga (white whales). Both species lack dorsal fins, have blunt-shaped heads, are gray colored at birth, and whiten as they mature. 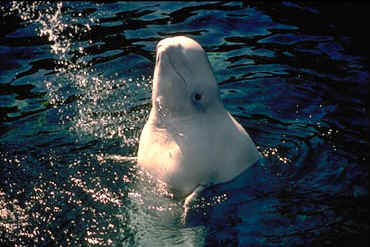 Adult beluga whales are a brilliant white while narwhals have white bellies and mottled grayish-green backs and flanks (although old animals may be completely white). Belugas have 8-10 teeth in each jaw, while the narwhal is toothless except for two embedded teeth in the upper jaw: one of these teeth develops into a spiral tusk in males and some females. Members of the dolphin, or Delphinidae family, usually have teeth in both jaws (the number and shape of the teeth vary by species), a melon-shaped head with a distinct beak, and a dorsal fin. The health of many of the world’s dolphin populations is threatened by bycatch, pollution, habitat destruction, over-fishing and climate change. Other threats include activities that may frighten, displace or harm these species such as underwater noise pollution from sources such as shipping traffic, wind farms, seismic surveys and military sonars. Global fisheries are increasing in intensity and range. The introduction of more sustainable fishing techniques can reduce this pressure. 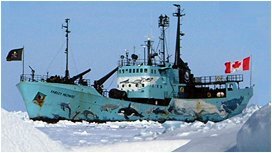 However, the use of destructive fishing methods and the growth of many modern commercial fisheries continue to impact many dolphin populations around the world. The impacts can be both direct through bycatch and indirect through loss of prey species. Dolphins are known to become entangled in many gear types, including long-lines, drift nets, trap lines and mid-water trawls, but the largest problem remains with coastal gill nets, drift nets and purse-seine nets. The continued use of gill nets is endangering a number of coastal species of dolphin and porpoise. Some dolphin populations may also be threatened by the sheer scale of modern fisheries. As fisheries compete with one another for fish, less and less prey is available for dolphins and other wildlife to eat. There are many different sources of chemical pollution, including domestic sewage, industrial discharges, seepage from waste sites, atmospheric fallout, domestic run-off, accidents and spills at sea, operational discharges from oil rigs, mining discharges and agricultural run-off. Many rivers, estuaries and coastal waters near large human population centres show signs of eutrophication and heavy metal contamination. Toxic algal blooms are increasingly common around estuaries and bays. The impacts of chemical pollution on dolphin range from direct physical poisoning to degradation of important habitats. The chemicals that are probably of most concern for dolphins are the persistent organic pollutants (POPs) including pesticides, such as DDT, and industrial chemicals; most famously the PCBs. These substances enter marine food chains and accumulate along the chain to the marine top predators. Damage to the reproductive and immune systems of marine mammals (and other species) are the likely consequences of their extraordinary pollution “burdens’. 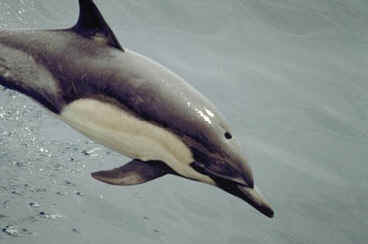 Many dolphin populations are known to be carrying heavy contaminant burdens which may contribute to increased mortality. There has been a worldwide increase in reports of viral and bacterial diseases affecting marine species as well as an apparent increase in toxic algal blooms. Habitat degradation, in particular increased chemical contamination, is thought to have facilitated disease outbreaks and the immunotoxic affects of some substances has been associated with marine mammal mass mortalities. The increasing and cumulative pressures on dolphins and the current trends of climate change may make dolphins more susceptible to disease. The transport of pathogens around the world, through the movement of products and ballast water, may increase exposure to disease and environmental contaminants may be facilitating the emergence of new diseases. In addition, exposure to chemical substances that have immunotoxic effects may lower dolphin immune responses and algal bloom outbreaks may further increase the toll of weakened populations by reducing their food supply as fish die. Hearing is the most important sense for dolphins, and the ability to hear well is vital in all key aspects of their lives including finding food, navigating and social interactions. Any reduction in hearing ability – whether by physical damage or masking by other sound – may seriously compromise the viability of individuals and, therefore, populations. Human-created noise in the marine environment contributes to an already significant natural biological and ambient level of sound. Introduced noise pollution comes from shipping and other vessels, military activities, fisheries anti-predation devices, ocean research, and the air-guns used in seismic testing to find oil and gas deposits. An emerging threat to dolphins are the potential impacts of marine wind farms. Whilst many of the sources of introduced noise are localized, some recent military technologies have utilized powerful detection mechanisms that may radiate over thousands of kilometres of the ocean. Potential impacts of human-created noise on dolphins range from physical damage to these animals (especially to those in close proximity to the noise source) to altering behaviour, increasing stress and displacement from important habitats. In addition, the extent of harassment, whether intentional or incidental, may be an increasing and little understood problem in coastal waters. The impact of greatest consequence associated with noise pollution, harassment and ship strikes may be the cumulative and long-term impact that we are currently unable to assess and evaluate. 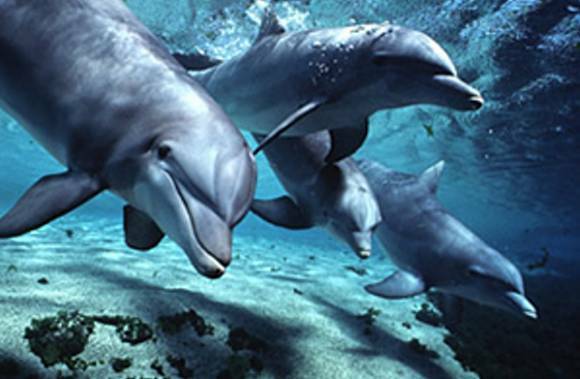 It is important to both the individual and the survival of the dolphins population (or species) that habitats continue to be suitable to support them. Habitat loss is especially critical for dolphins with limited range, such as river dolphins. In many areas habitat loss is caused by dams, fishing structures and withdrawal of water for human use. In some parts of the world water management, flood control and major river modification, including the removal of surface water, has led to population decline. Dams prevent migration and create barriers which fragment populations. Prey species may be reduced, while sedimentation, nutrient over-enrichment and salinity, and in turn eutrophication, increase. Habitat loss is also a concern for coastal and offshore species. Changes in the atmosphere, weather patterns and marine ecosystems are currently being observed. Predictions include sea surface changes and sea level rise. Changes in the ice-caps may affect rainfall and salinity, and temperate changes may impact on coastal upwelling regions causing a possible reduction in nutrient concentrations and 'productivity' which in turn can impact whole food chains. The modification of habitats may cause shifts in dolphin food sources (through change in upwelling patterns and prey aggregation). Species that have evolved to find food in a highly patchy environment may have difficulties securing prey. The implications of climate change for dolphins are compounded by the apparent rate of change (some 3 to 4 degrees celsius in higher latitudes in only 50 years) which is thought to be much faster than anything that dolphins have been exposed to in the past. When considered in the context of cumulative impacts, the ability of dolphin populations to adapt to this rapid change may be compromised. Some coastal communities have exploited dolphins for centuries. There are other documented dolphin harvests in South Asia, East Asia, South East Asia, and parts of Africa and South America. In some cases, dolphin bycatch has turned to directed nets or harpoon hunts by artisanal fishers. The impact of these new directed nets hunts is not known as very little data is available on the targeted populations or the number of animals being caught. It is likely that the hunts are not sustainable. The belief that dolphins compete with fisheries or damage fishing nets has prompted culls in some regions.